Helping a child buy a property? Don’t let it turn into a family feud. The continuing rise in property prices has meant that an increasing number of parents are helping to finance house purchases for their children. This can result in complicated financial arrangements within families, so taking specialist advice is a must to prevent family disagreements. Parents may take the opinion that giving or lending money to children is within the family and doesn’t require a formal contract. However, as an acrimonious case that went through the courts last year demonstrated, committing the details to writing can make sound financial sense. Ann Hermsen-Wilkinson went to court to prove that the flat occupied by her daughter Caroline wasn’t a gift, and sought to have her evicted. Caroline claimed that the £1m property had been given to her. The court found that the flat belonged to the mother, and served an eviction order on the daughter. If you are reluctant to simply give the money outright, one of the optimum ways to protect money that you give to your child for a deposit on a property is to set up a loan and put together a repayment schedule; formalising the arrangement by way of a ‘promissory’ note. This way you can loan them the money and charge interest each month. By registering a legal charge against the property the loan could also be secured. This means that when the property is sold in the future, your money is automatically repayable, provided there is enough left after any prior charge on the part of a mortgage lender has been satisfied. Alternatively, if a son or daughter is buying a property in joint names with another person, the parental deposit can be protected by creating a declaration of trust, fixing the shares that each co-owner will have in the property in the event that it is sold. The declaration can contain the stipulation that after the bank or building society is paid off, then the deposit belongs to the son or daughter or parent, rather than being split with the joint owner. Parents may give consideration to acting as a guarantor for their child’s mortgage. It’s vital to remember that when you become a mortgage guarantor, you effectively take on responsibility for someone else’s mortgage. 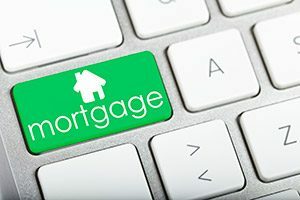 Most guarantor mortgages or loans require you to repay the entire amount should the original borrower be unable to pay. So, mercenary as it may sound, parents will need to consider whether their son or daughter represents a good risk and will be in a position to keep up mortgage repayments at all times. When it comes to lending or giving money to family members, it’s important to consider what might happen in the future and get some good professional advice from your adviser before proceeding.